The restaurant is tucked away amongst lush gardens in the beautiful rolling green hills of San Jose. When you first set foot inside Can Domingo, its romanticism is immediately obvious. The restaurant is tucked away amongst lush gardens and farmland close to the action but just far enough away – in the beautiful rolling green hills of San Jose – to feel pleasantly secretive. It’s a picture perfect choice for an Ibiza wedding. 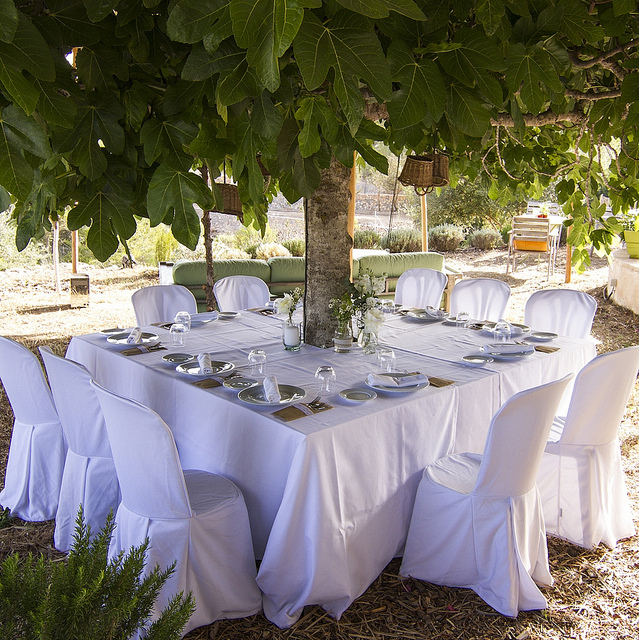 The beauty of the finca and its grounds make it the ideal place for both ceremony and reception or any of the pre and post wedding get-togethers associated with destination weddings. 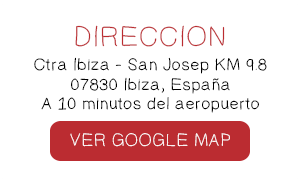 The professional Can Domingo team are well versed in creating the perfect atmosphere and manage every detail directly with the couple or their wedding planner. From flowers, music, decorations, wedding cakes, accommodation, transportation and of course food and wine, every last element is thought through with great attention and dedication; a level of personal care very few other venues are able to offer. 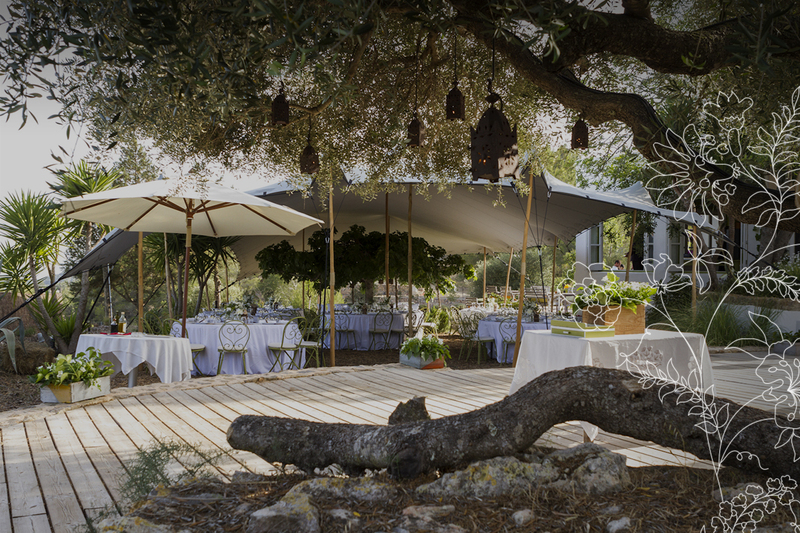 At Can Domingo there are no pre-devised packages – each wedding is customised to match the desires and personalities of the bride and groom. 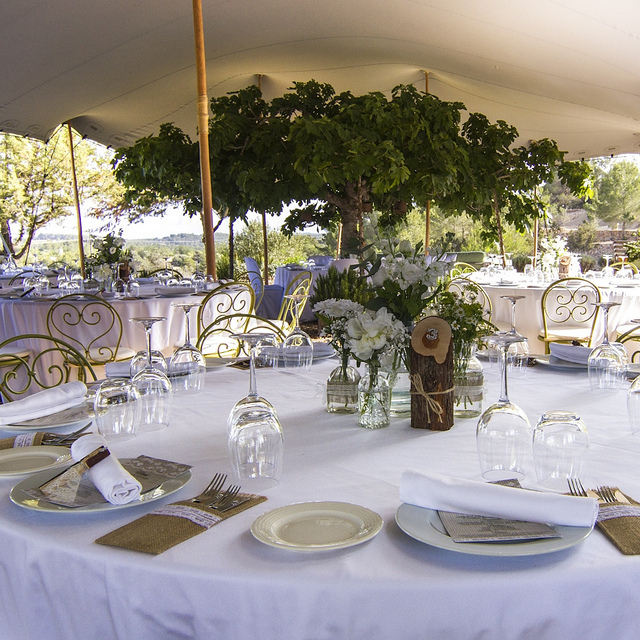 Small intimate weddings of 20 people or an all-out huge extravaganza with up to 140 guests can be accommodated, either with a classical, seated, three-course menu or a more informal standing affair of buffet and live cooking in the garden. Many couples choose to have their ceremony in the late afternoon overlooking the garden so champagne can be served just in time for sunset and dinner is enjoyed as the stars come out. The options are endless and the beauty of the garden means there is a naturally stunning space that needs very little decoration, just some candles, flowers and lights, to create a romantic alfresco atmosphere. 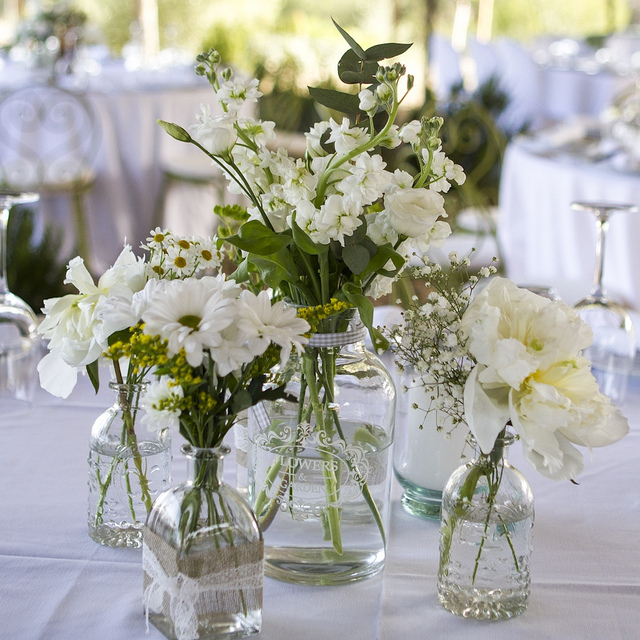 There is always much to be considered when organising a wedding, and many fine details that need arranging. Can Domingo relish the work involved in creating such a beautiful moment in people’s lives. When the bride and groom are celebrating with their friends and family, enjoying the garden, the wonderful food and fine wine… well, there is just no better feeling than being part of creating that joy.